Activating demand for your product or service to attract qualified prospects should be at the core of your online marketing efforts. Instead of traditional outbound marketing methods like buying ads and email lists, inbound marketing focuses on creating magnetic content that pulls people towards your company and product. Your website visitors’ contact information is like sales currency. For them to offer it, you must provide them with something first. With thousands of brands out there vying for recognition and attention online, building awareness and customer loyalty through meaningful engagement is key to getting noticed. Quality content creation lies at the heart of these efforts. 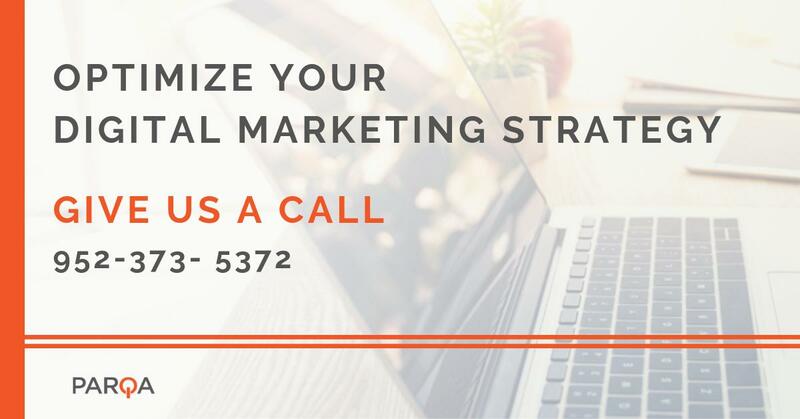 At Parqa, our inbound marketing approach aligns your marketing and content strategy with your target audience’s interests and pain points so that your business can be found online. Once you understand your buyers and their digital journey, we create valuable and informative content (such as blogs, PDF guides, and webinars) that attracts and converts the visitors you want. Our goal is never to force a product or service on someone; instead, we make it easier for your prospects to find what they are looking for and equip them to make an informed purchase decision. Our holistic approach combines the building blocks of inbound: website optimization, content creation, email marketing, SEO, lead generation, thought leadership, and social media marketing. At Parqa, we position our clients as thought leaders within their specific industry by generating social synergy around content posted on their websites. Thought leadership begins with blogging and is a great way to attract new visitors to your website. As users search for the rich and original content on your website created by thought leaders within your company, they become potential customers. We convert prospects into customers and customers into promoters of your brand. We start by gaining a deep understanding of who your potential buyers are and what information they need to see while searching for solutions to their pain points. We then use that information to create and share valuable content that attracts the right customers to your website. Additionally, we incorporate both on-site and off-site SEO tactics to improve search engine result rankings and generate more traffic. Once you attract the right visitors to your website, we provide them with educational content that speaks directly to their needs and answers their questions. Our approach engages your prospects at every stage of the buying cycle and meets them where they are on the web, whether through search engines, with social media, or by email. We help stop leads from slipping through the cracks by building a contact database and leveraging marketing automation software to send nurturing emails designed to appeal to your prospects at each stage of the buyer’s journey and motivate action. After attracting qualified visitors and nurturing leads, we convert them into customers. To ensure the right leads are closed at the right times, we utilize a variety of closing tools, including CRM, Closed-Loop Reporting, Email and Marketing Automation.